Last week I had a networking event to attend—Thursday Therapy—a monthly gathering of wedding professionals for a night of mingling along with yummy food and drinks. I’ve been procrastinating with making business cards because I wanted to design a logo. But I definitely needed to share my info that night. 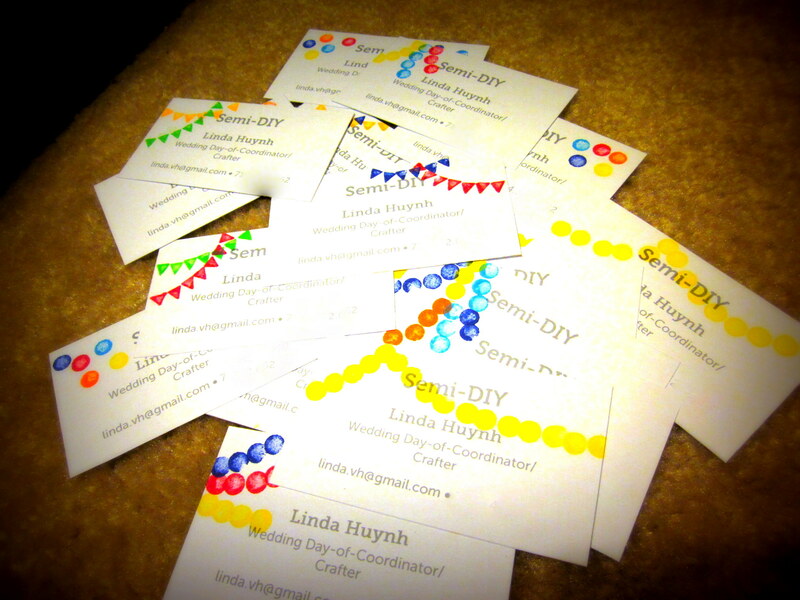 I decided to go with simple DIY business cards using cardstock and eraser stamps. 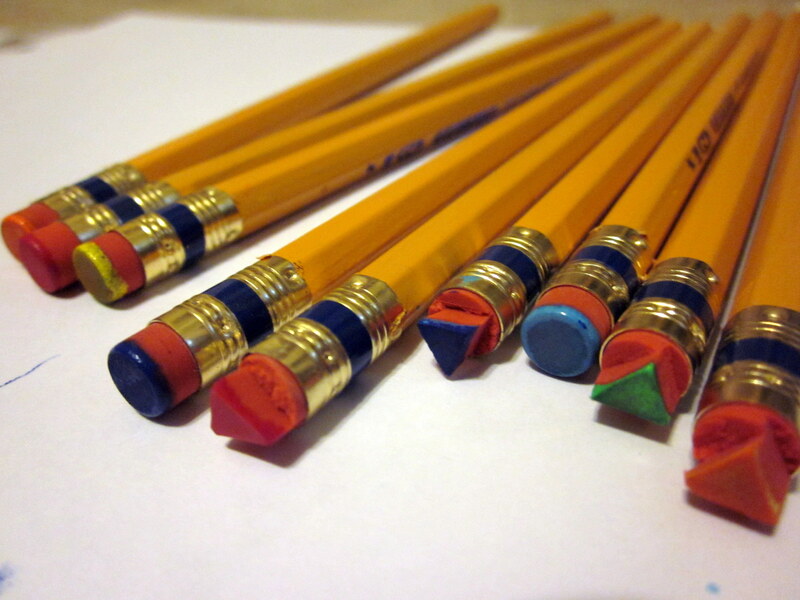 For stamping, use the eraser end of a pencil for circle stamps or cut out shapes using a craft knife. (I went with circles and triangles—stars and hearts looked a little too cheesy). 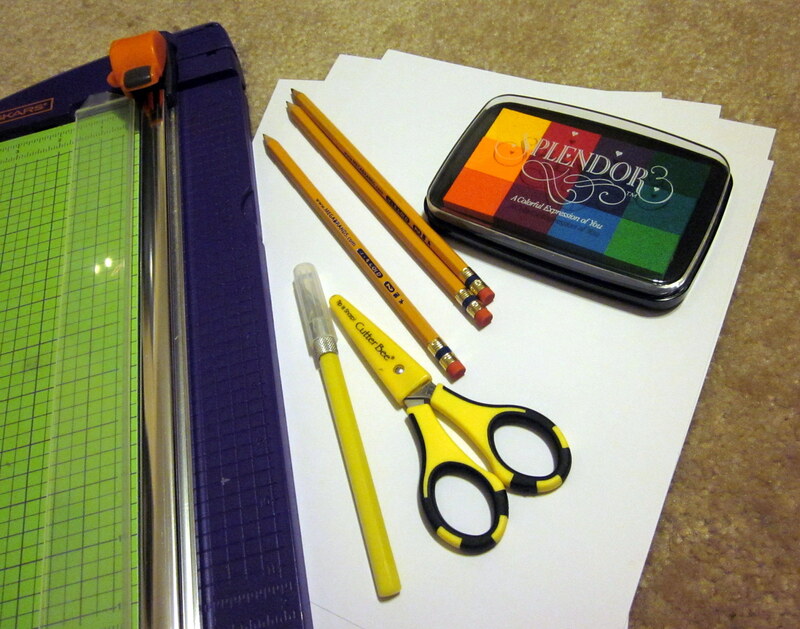 Test out some designs with your stamps and ink pad. Then get a-stamping! Below are a mix of designs I used. I also stamped my website on the back. Easy peasy and low cost! 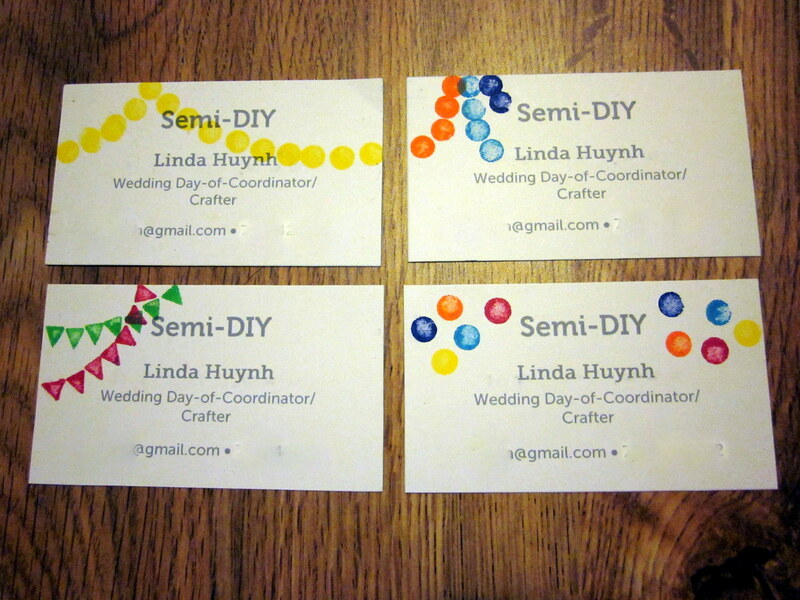 This entry was posted in Crafts and tagged Business card, DIY, eraser stamp. Bookmark the permalink.